It was a very cold and icy visit out to St. Clair NWA last Saturday! I brought my Dad out for a hike with me to look for some ducks and tundra swans. For having worked there, it surprised me that it was his first time out there! Last year at this time I remember ducks were flying everywhere. I don't think it was even possible to look in the air or water without seeing a flock of some sort of awesome waddler! But this year....after a really cold and long winter all of the ponds at St. Clair were still frozen over. There were quite a few flocks flying around but I'm not too sure where they were landing! 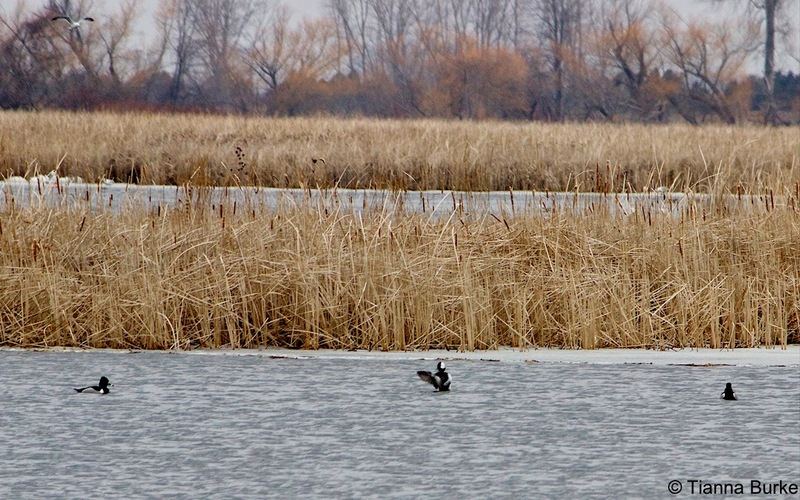 Little patches of water did exist but only 4 pairs of Ring-necked Ducks and 1 Bufflehead were there. Even though it was a really small number, it was still so nice to see these guys after a year! 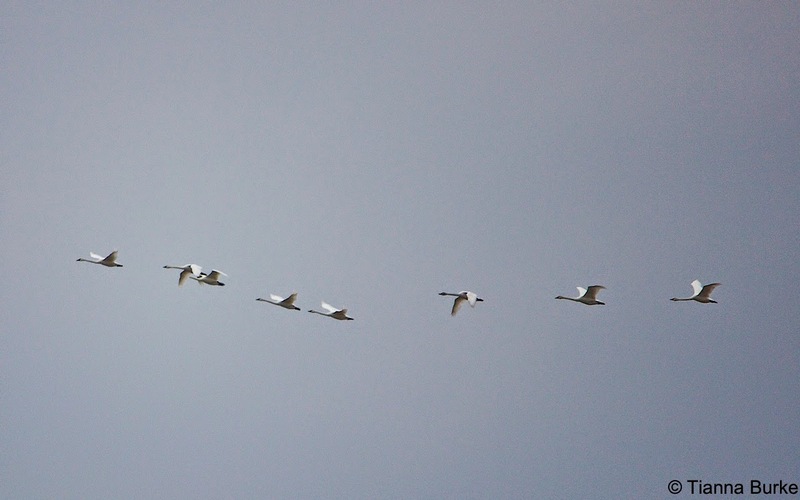 Even though there were limited ducks, we saw plenty of Tundra Swans flying over! These swans I have to say are my favourites. When the congregate into groups (and even flying) their sound can be heard from so far away. Opening my patio door to let the dog out I could even hear them flying over the house, I always get so excited when I hear their sound! We walked all the way to the observation tower which is located in the middle of the Wildlife Area. Other then the few ducks at the entrance, the area was fairly quiet! I was surprised at how many red-winged black birds were back in the area. 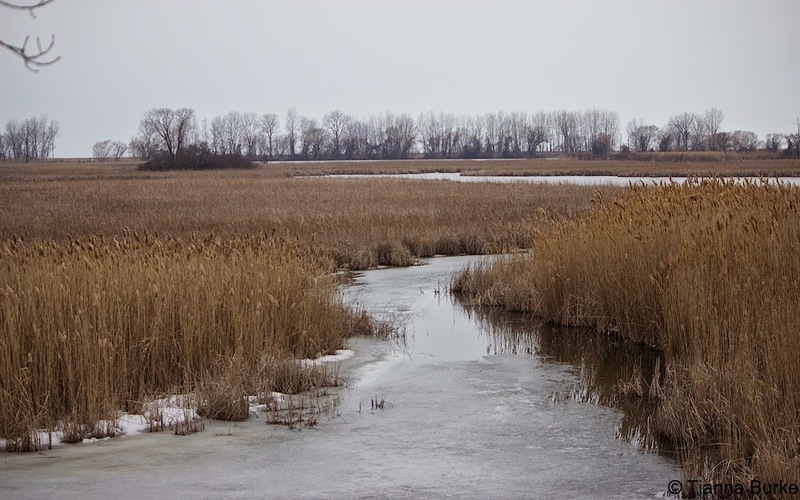 Other than the RWBB, we saw some crows, starlings, a cardinal, and a muskrat! Leaving the NWA we were driving back towards Highway 40 and spotted a field of white. It wasn't a large pack of unmelted snow...it was all swans! Unfortunately, it had started raining at this point so the photo turned out incredibly blurry, but it was still spectacular. It actually may just be one of my favourite parts of spring. 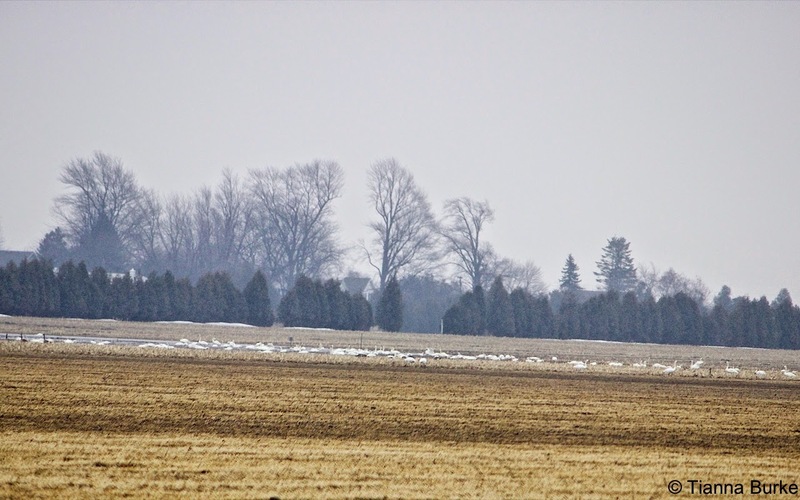 Tundra Swans in farmers field. Once pack in Chatham we went over to Paxton's bush to see what we could spot. It was quiet again in here and even was beginning to snow. We saw about 30 Goldfinches, a few crow, and that's about it!! 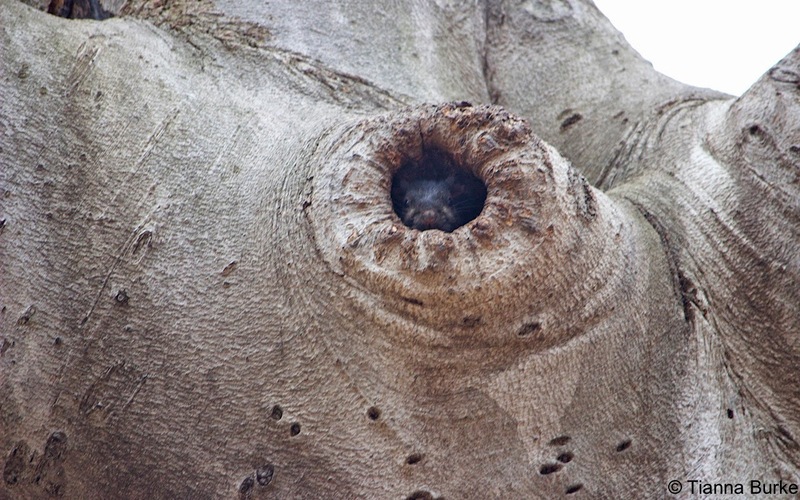 My dad did spot a cute little squirrel poking out of a tree cavity! Back here in Peterborough the Otonabee River is pretty much all open, but I haven't seen anything too new around until yesterday. I was driving along the river through Trent campus and spotted some Tree Swallows!! First for the year, so certainly is a sign that spring is on it's way!